Gardening is a lot of work. Most of the work is not in planting or maintaining the garden, but comes after the harvest, when you must do something with the massive amounts of fruits and vegetables that it yields. Our fig tree produces 100's of figs every year. Most are picked and eaten fresh or passed on to friends who enjoy them. I also make fig jam, fig cookies and dried figs. 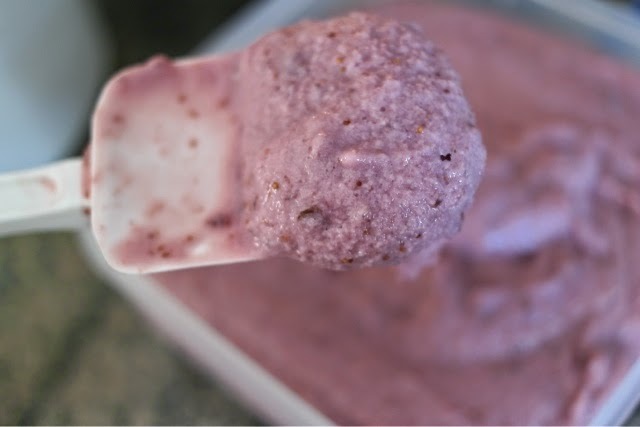 This year, I decided to make Fig Gelato using this recipe I found on Pinterest. I used the first recipe listed in the blog post and it is delicious. 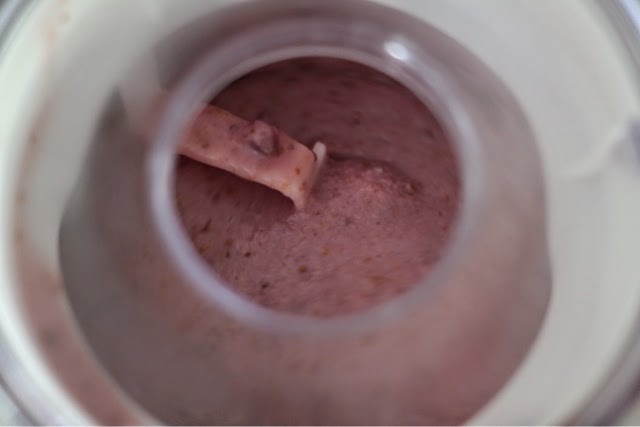 I tripled the recipe and had to freeze it in three batches, because my ice cream freezer is a small capacity machine. The color is so pretty, but the taste is even better. 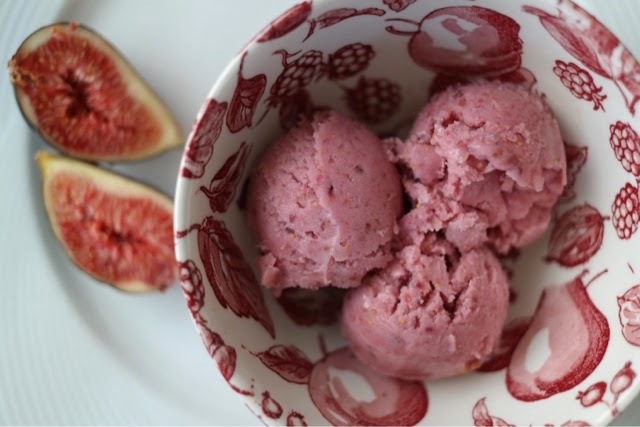 Does anyone have a favorite fig recipe? 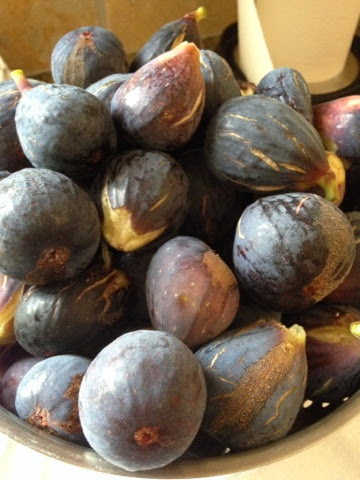 I'll be picking another 5-6 pounds of figs this evening. I love fresh figs! I've never lived where they could be grown. 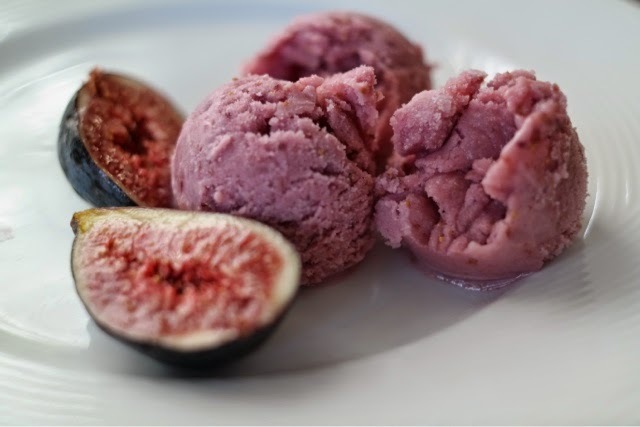 I'm sure you enjoy every fig, but your fig gelato is really wonderful! yum! we lots our big fig tree this winter but my husband had some small ones in the garage which he planted this spring. It will be a few more years before we get figs again. That gelato is so beautiful! That looks so delicious! Do you supply to your son's restaurant? You would be a hit, I'm sure! "Di's Daily Special!"